Gina McDonald. Photo courtesy of NBC. Like many contestants on NBC’s The Biggest Loser, 47-year-old Gina McDonald felt like a stranger in her own body. Over the years, she attempted many fad diets as the scale escalated uncontrollably. A lawyer and a law firm owner, she’s always been very accomplished in her professional life; unfortunately, her personal life used to be a different story. 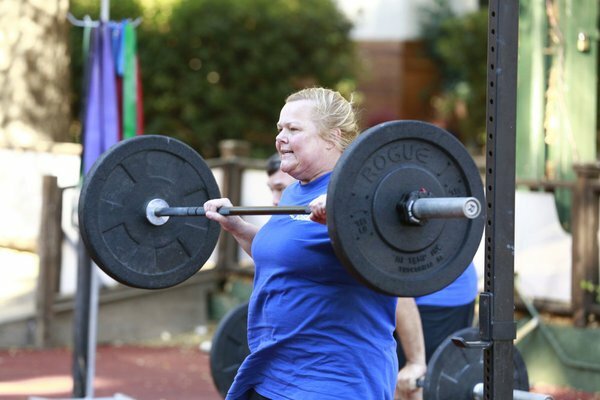 Back in 2002, poor eating habits, a lack of exercise, and a stressful divorce caused her to reach 245 pounds. Ashamed and left with two young children, the single mother struggled to keep her at home life in check. For others looking to go on The Biggest Loser, the former contestant stresses the importance of “believing in yourself and never, ever giving up” — a motto that she repeats to herself every day! Be sure to tune in for next week’s premiere of season 15 of The Biggest Loser on Tuesday, October 15th on NBC at 8/7c! She’ll also be participating in The Biggest Loser Run/Walk in Panama City on December 29th.